Qualifications: Bachelor of Occupational Therapy, Professional Certificate of Yoga Therapy: Areas of specialization: Eating Disorders, and Insomnia. 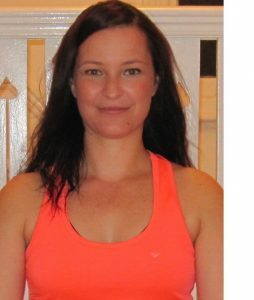 Arlene qualified as an Occupational Therapist in 2001 and a yoga therapist in 2014. Arlene is a Minded Yoga Supervisors for individual students and she co-ordinates group supervision for yoga therapists. Arlene has worked in various mental health settings as an Occupational Therapist and has spent the past 10 years specialising within the Eating Disorders field, with the past 5 years working specifically with adolescents with eating disorders. Arlene is able to support you in supervision around working within a mental health hospital setting, with a CAMHS population and with clients with eating disorders, anxiety and insomnia.